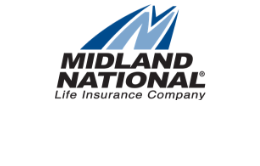 Midland National received an A+ (Superior) rating for financial strength from insurance-industry rating service A.M. Best1. According to A.M. Best, A+ rating, the second highest of A.M. Best’s fifteen ratings categories, is given to insurance companies “that have, in our opinion, a superior ability to meet their ongoing senior financial obligations.” They also affirmed Midland National’s long-term credit issuer rating as Stable. A.M. Best is the most widely recognized provider of insurance industry-focused ratings, financial data and news. It judges the financial strength of insurance companies as well as the credit quality of the company’s obligations. They first rated Midland National at A+ in 1980, and for over 35 years we’ve maintained our ranking. Click here for reports, press releases and more about Midland National’s ratings by A.M. Best. 1 A.M. Best is a large third party independent reporting and rating company that rates an insurance company on the basis of the company's financial strength, operating performance and the ability to meet its obligations to policyholders. A+ is the second highest out of 15 categories and was affirmed for Midland National Life Insurance Company as part of Sammons Financial Group on July 6, 2017. For the latest rating, access www.ambest.com.